Hey guys! Today I wanted to talk about something that we haven't touched much on about here. 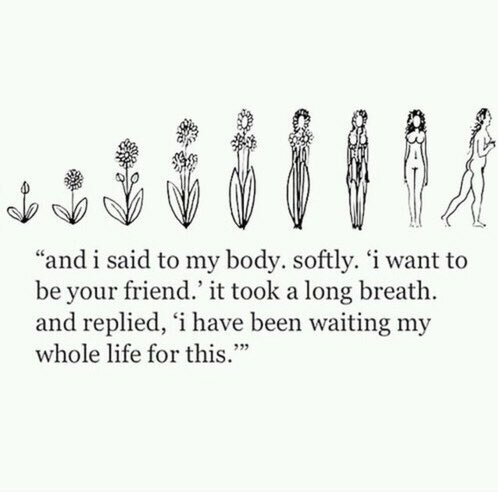 I want to talk about self-love. When I created The Smoothie Vegetarians this was a topic that I wanted to make a regular appearance on our website. This is because, for me, self-love was part of my journey with becoming a vegetarian. For me, it is all about being my best self. Doing and feeling the best I can each and every day. In order to become the best me, I had to break down some of the demons inside of me. I have always been my worst critic. I beat myself up over things I can not true and nit pick over thinggs that are in the past. It wasn't until I started on my journey of a plant-based diet that I also began my journey of loving myself. Not the person I wanted myself to be, but the person that I am right now in this moment, the person I was yesterday, and the person I will become tomorrow. I forgive myself for my past mistakes. I learned from them and then I moved on. It was important that I learned to love my self in all forms. I needed to learn to love myself during all of my lows and highs. As I started practicing self-love, and doing all of the things listed above I noticed that my perception of the world changed. The way I handled things changed. I found myself feeling more gratitude towards the little things. I started to feel nothing but love in my soul and my being. Forgive yourself: This was the hardest thing for me to do. I wanted to hang on to all of the mistakes I have made. This is not helpful at all, in fact this is toxic. Let it all go, forgive yourself. Forgive others: Lot's of people will wrong you during your life. Hanging on to the hurt and the pain does not punish them, it punishes you. You are only hurting yourself. Write Down 3 Reason To Be Grateful a Day: This is one of the best parts of my day. Every morning I wake up and find three reasons to be grateful, I make sure they are different from the day before. This practice really helps my fill my life with love. Stand in front of the mirror and focus on the things you love about yourself: Remeber that your body carries you, protects you and loves you. 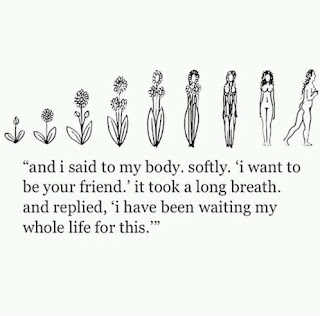 Love your body as much as it loves you. Take a Bath: One of the best ways to unwind is to sit in a nice warm bath. Let your body and mind relax. Spend Time With Nature: You can do this by sitting outside or going for a walk. Take a breath of the fresh air and relax. Think Positive Things: Train your subconscious to be positive as well. Instead of thinking negative things about yourself and other people, purposely thing positive things. In time you will find that you do it automatically. Stop comparing yourself to others: Everyone is fighting their own battles, and no one is perfect. Learn to love the imperfections in yourself and in the world.